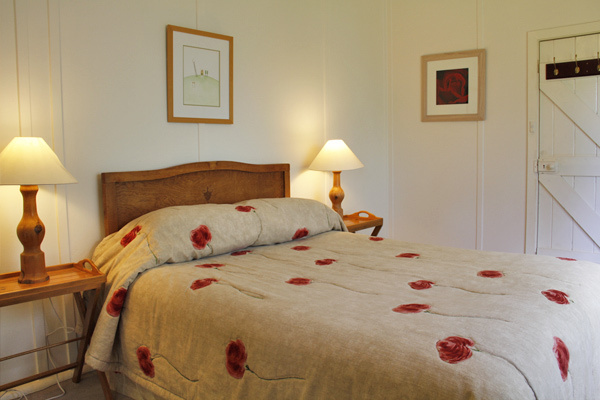 The former shearers’ quarters has the essential ingredients of tranquility, simplicity and harmony with nature. 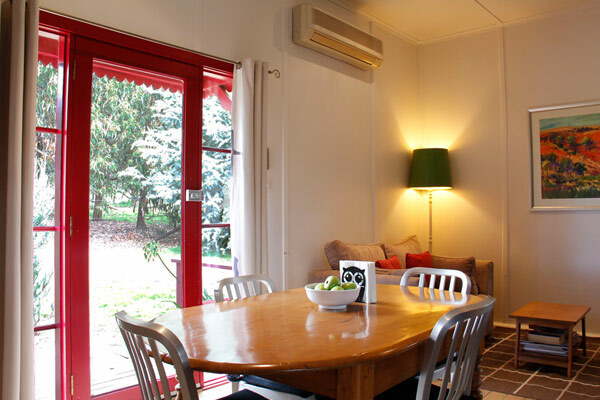 The private and beautiful rural setting makes the self-contained, 2-bedroom Whispering Moon Cottage a perfect getaway for one or two couples, or a small family, or as part of a big group staying in the nearby 5-bedroom Black Sheep Inn Woolshed. A covered patio with BBQ overlooks gum trees, the shearing shed, Molong Creek valley and rolling hills, the perfect place to enjoy a glass of wine as the sun goes down. 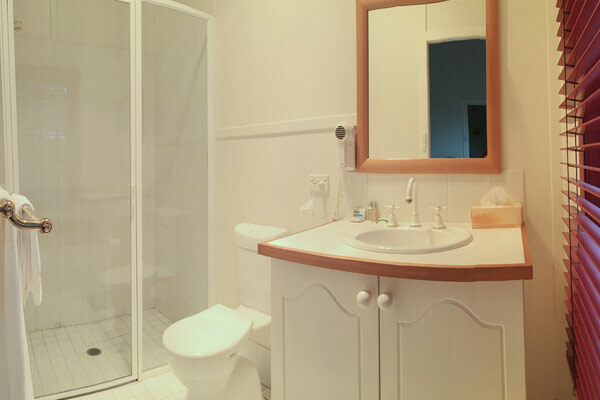 There are two bedrooms, each with an ensuite. One room has a queen bed and the other room has two single beds. 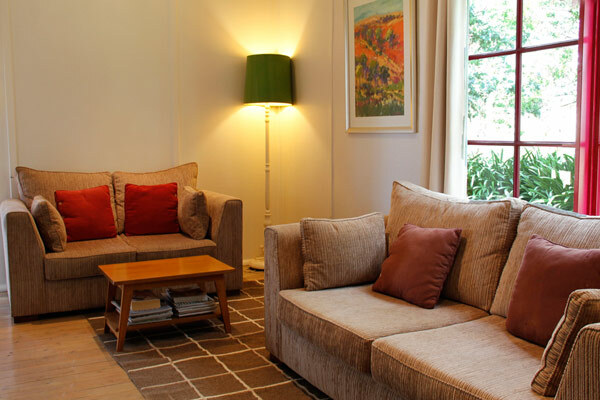 Cosy mohair blankets, linen, towels, L’Occitane toiletries and hairdryer are all provided. 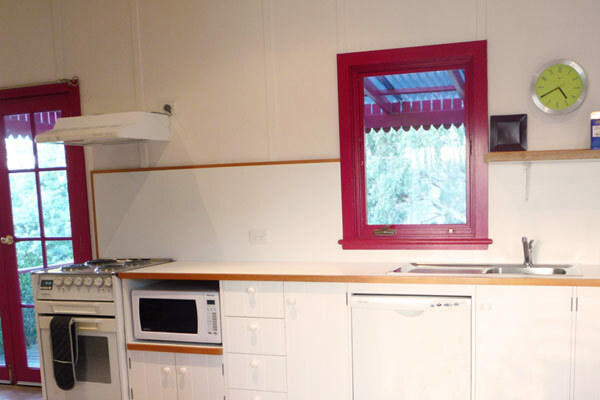 The fully self-contained kitchen includes an oven and dishwasher, cutlery and crockery. A delicious breakfast hamper is provided for you to cook at your own convenience. Sitting, dining and kitchen areas are contained in one large room, with a central fireplace. 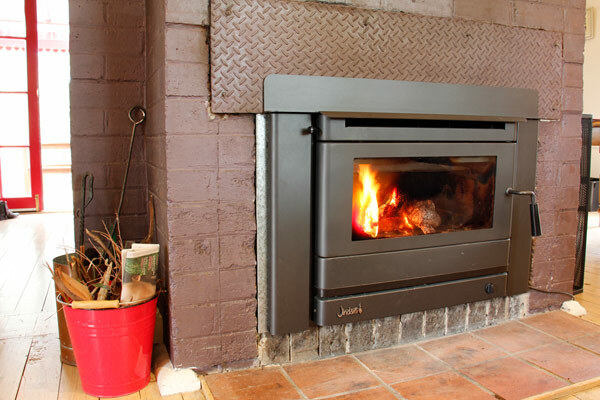 The cottage can also be heated or cooled by reverse cycle air conditioning.